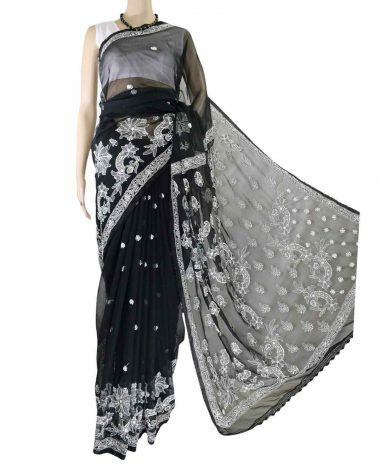 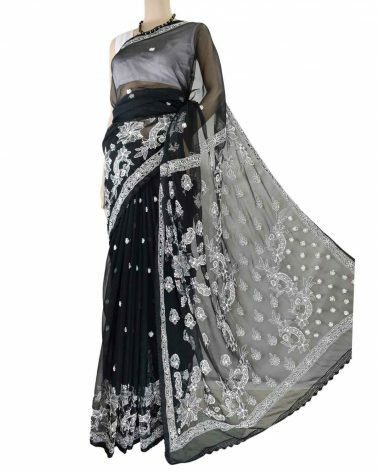 Black Georgette Saree with delicate hand embroidery in black on border palou makes it apt for most occasions. 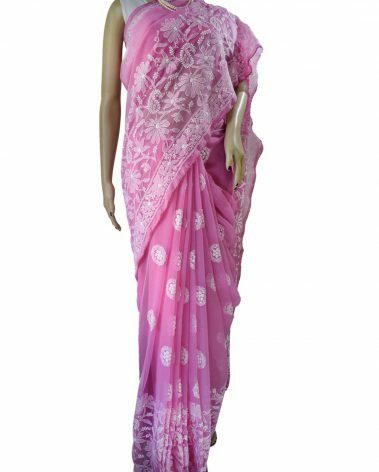 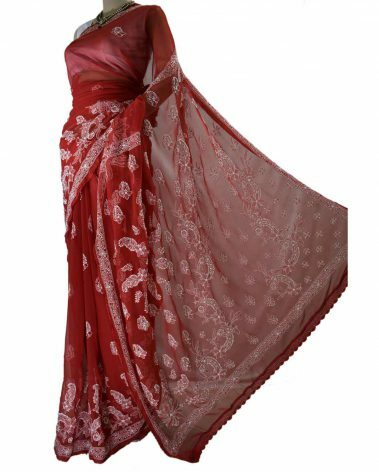 Handcrafted Crochet work with silken thread running along the entire Saree (including Palou) adds to the ethnic look and subtle mukaish work highlights the elegance of the saree. 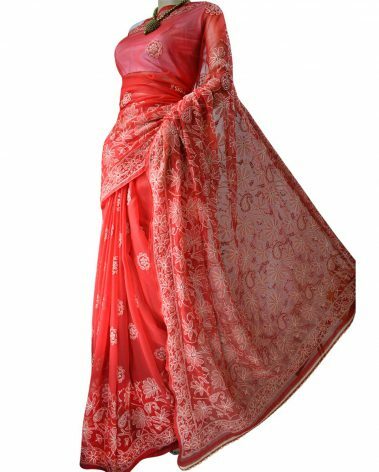 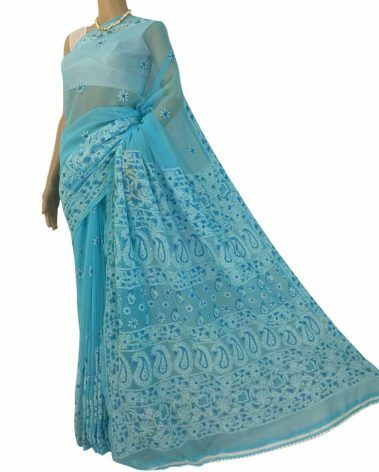 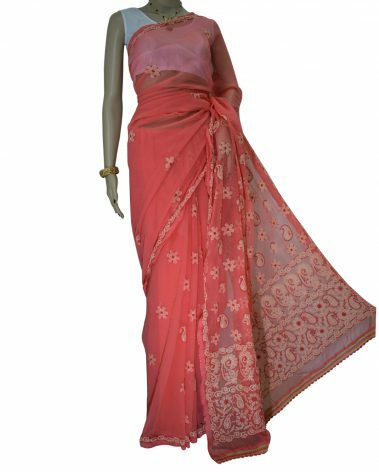 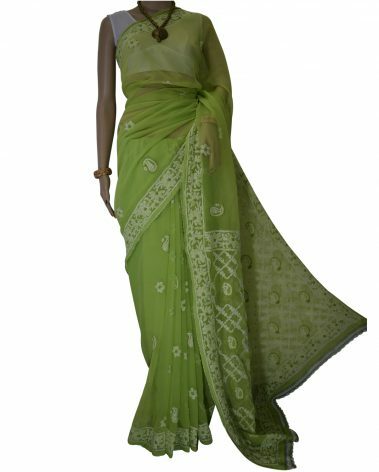 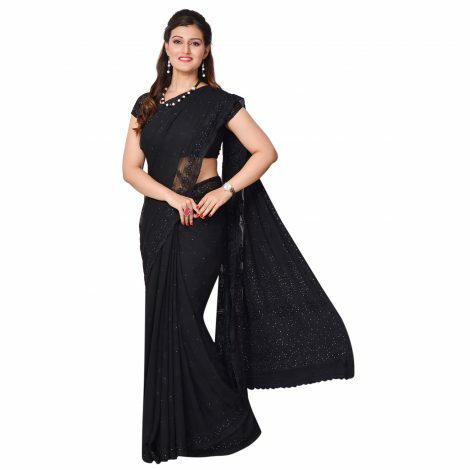 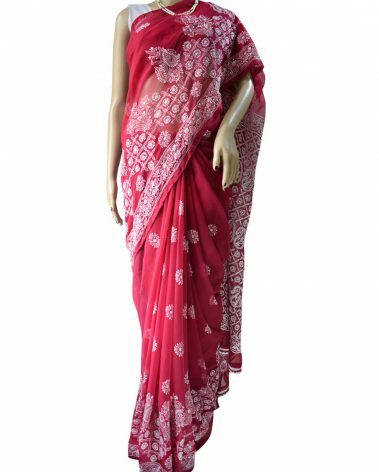 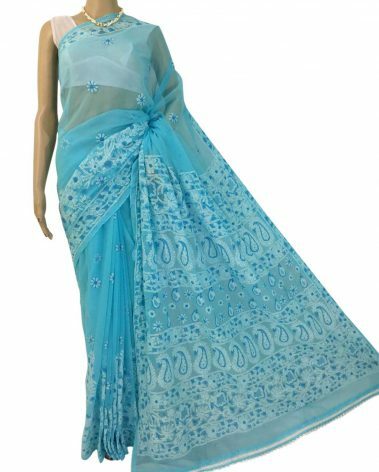 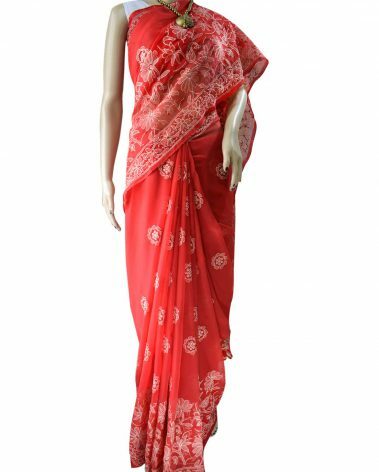 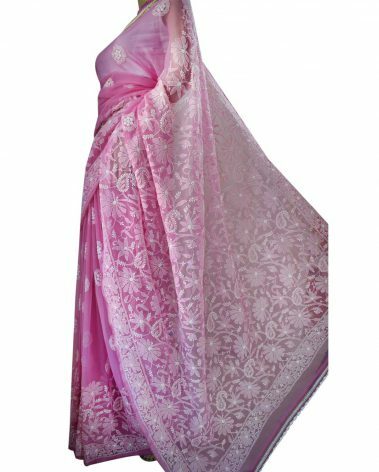 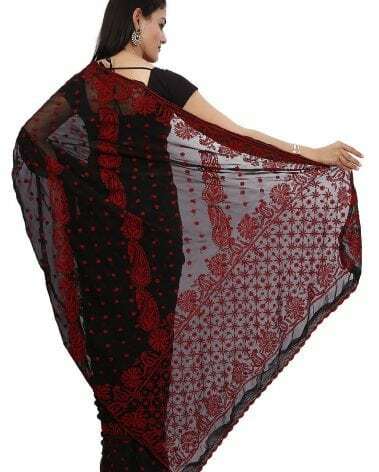 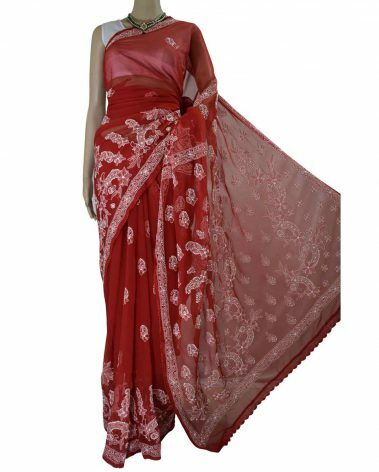 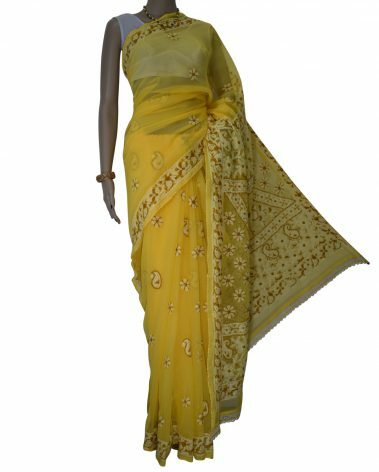 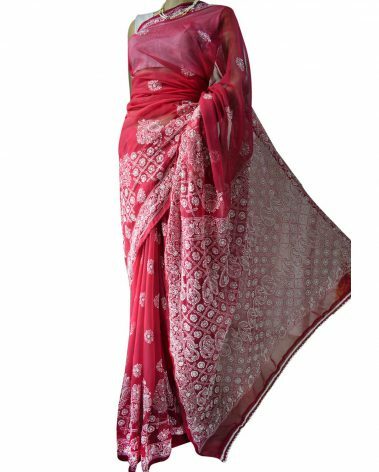 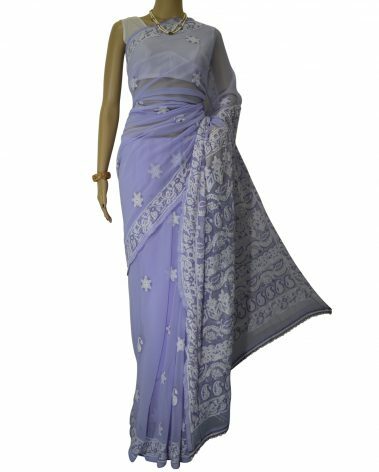 Apt saree for a cocktail or formal dinner function.